When it gets colder, the energy bill goes higher as the temperature outside drops because of your itchy trigger finger on the heater. Well, you need to heat your home during Winter, but there are things to keep in mind while trying to make your home more energy efficient. There are many small things you can do to save energy that can save you plenty of money in the long run. There are many factors that contribute to the energy efficiency of your home, like the construction or age of the home. Obviously, homes that were built more recently will be more up-to-date with technology and will be more energy efficient. Take a look around your home and check for areas where heat may be escaping and where cold air can creep in. Proper insulation needs to be set up in your home, so look to close up gaps around doors and windows. Make sure that your boiler, especially if it’s an old model, is thoroughly checked and serviced to make sure that it won’t let you down during the colder weather. If you have the finances to upgrade your old boiler, it’s smart to make the upgrade because it will help in the long run. Additionally, if the weather isn’t too cold outside, you can use smaller household heaters instead of the main one. The other easy tip to follow is to remember to turn off your heater when you’re not home. There are plenty of other easy ways to save on heating a home. For example, you can turn off the heat in rooms that you don’t occupy too often. 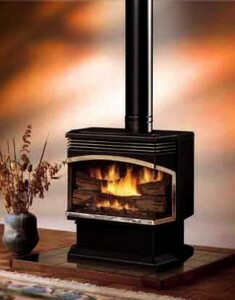 You can also use a wood-burning stove or fire place to heat your home. You can also drop the thermostat a few degrees. There are many different ways to save energy in your home; you just have to act upon them to save energy and money.